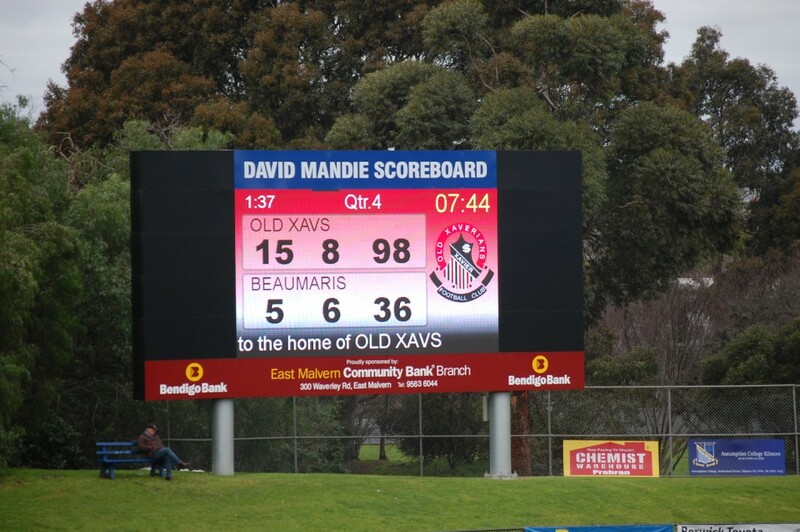 Daryl Pitman, of The Local Footy Show on Channel 31, has sent in some Toorak Park photos and although we’ve featured this Prahran ground before, we thought Daryl’s pics were as good a reason as any for a little look back on this ground. 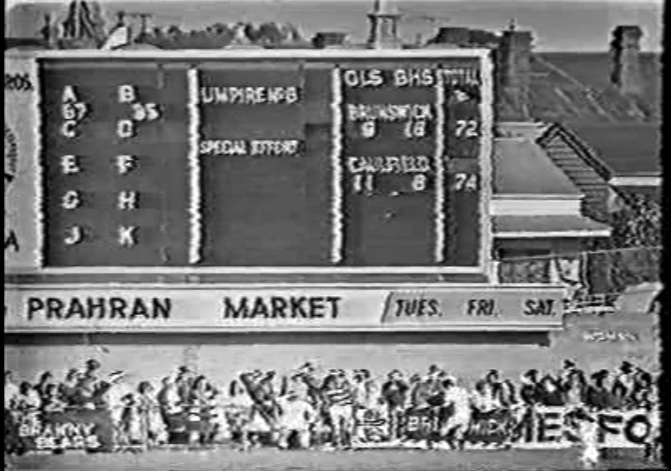 Above is an image from the 1973 VFA Division 2 Grand Final between Brunswick and Caulfield. 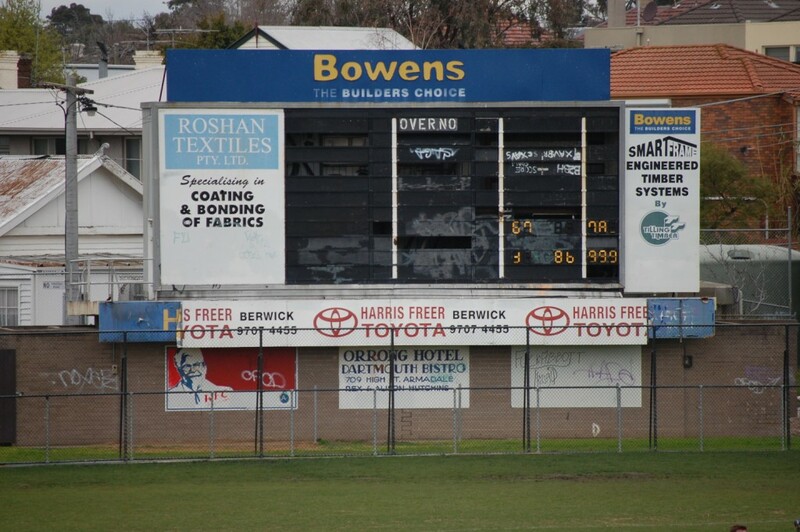 Both clubs have faded into history but the scoreboard, on the far wing, is still standing after all these years. It was made redundant by this flash new electronic board, officially unveiled in February 2013. Daryl Pitman is host of The Local Footy Show, which kindly presented a segment about Scoreboard Pressure on Friday 18 July. The program is available online for another week or so.